BollywoodGaram.com: The Oscar-winning Indian music composer, AR Rahman now has a street named after him in Ontario, Canada. 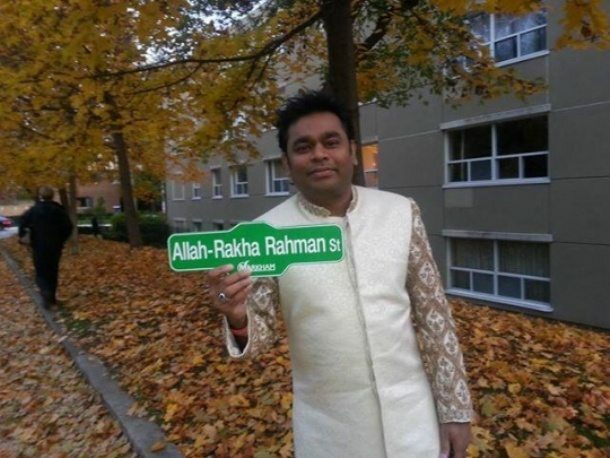 The Bollywood composer posted a picture in which he can be seen holding a signpost for the street, which has now been named as ‘Allah-Rakha Rahman Street’. Rahman tweeted, “Welcome to my street! (In Markham, ON, Canada)”. 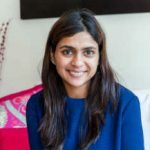 The composer was in Ontario as a guest at the International Indian Film Festival Toronto, which celebrated 100 years of Indian cinema. The naming of the street was one of many tributes which were paid to celebrities from Bollywood who took part in the festivities. It was also one way of showing love to Rahman from the country’s residents. The composer in the past won two Academy Awards, two Grammy Awards, one BAFTA Award, one Golden Globe, four National Film Awards and thirteen Filmfare awards south. In addition to the awards, Rahman was nominated multiple times. The hard work by Rahman also earned him the title ‘the Mozart of Madras’, which means ‘Born in Chennai’ and he has been nicknamed ‘Isai Puyal’, which means music storm. Rahman belongs to a musically affluent Tamil family from Chennai, Tamil Nadu, India. His father was a film and music composer and Rahman used to assist his father during recordings.